LA FESTA ITALIANA: THAT’S AMORÉ! 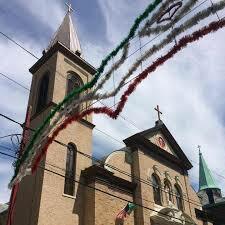 (JERSEY CITY, NJ) Everyone is family at Holy Rosary Church, and to celebrate our extended family, the Very Rev. 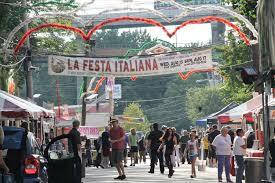 Pastor Jerzy “Jurek” R. Zaslona invites everyone to La Festa Italiana, the annual Italian street festival held in August in Historic Downtown Jersey City. Starting, Wed, Aug. 15, from 5-11 pm, and running every day through Sunday, Aug. 19th, La Festa Italiana will transform 6th & Brunswick Streets into a lively block party filled with vendors selling delicious ethnic foods, bands playing chart-topping hits, and rides and games guaranteed to give kids memories that last a lifetime.